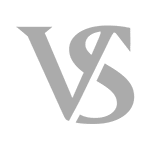 Firearm Crime Defense - Meyer Van Severen, S.C.
Meyer Van Severen, S.C. provides firearm crime defense. Whether you’re a felon caught possessing a firearm, you’re caught illegally concealing a weapon, or you’re accused of using a weapon in an illegal manner, our criminal defense attorneys may be able to assist. Meyer is a Milwaukee defense attorney who defends all criminal cases throughout the State of Wisconsin. Criminal defense attorney Van Severen is a trial-tested lawyer who has won felony possession of firearm cases at trial. If you are accused of a crime involving a gun, you deserve the aggressive firearm crime defense that our criminal law firm provides. Meyer Van Severen, S.C. can be contacted 24/7 at (414) 270-0202. One commonly charged gun crime is called carrying a concealed weapon. Although carrying a concealed weapon can be legal, you must obtain a permit first. If you’re caught carrying a concealed weapon without first obtaining a permit, most prosecutors ask for jail time. For example, the Milwaukee County District Attorney’s Office regularly asks for 4-6 months in jail after a conviction. This is even the case for individuals without prior records. While it’s up to the judge what the sentence is, facing this suggested penalty is scary. Felony cases carry even more serious penalties. If you’re a felon caught possessing a firearm, often prosecutors seek a prison sentence in southeastern Wisconsin. Most cases involving felony possession of a firearm in Milwaukee result in a prison recommendation from the State. Attorney Meyer has won cases at sentencing, resulting in positive results like a $200.00 fine. What the prosecutor asks for is not the end of the line. You have a right to a jury trial, where prosecutors would need to prove you committed the offense beyond a reasonable doubt. You also have the right to challenge illegal police action, which could result in certain evidence being excluded from your case. And you have the right to be defended by a competent defense attorney like Matt Meyer or Ben Van Severen. Not all defense attorneys can handle gun cases. Not all criminal attorneys know how to challenge illegal police actions. But our skilled criminal defense team does. We’re regularly in court arguing against illegal police action. He’s also regularly defending our clients at jury trials. Gun cases are serious, and they’re best defended by individuals experienced in this area of law. Hire the best criminal defense attorney in Wisconsin you can find. Our law firm also defends individuals accused of using firearms in a violent manner. For more of a discussion regarding those offenses, please visit our violent crime page. It’s very important that you have an aggressive and experienced Milwaukee criminal defense attorney on your side. If you’re facing a firearm crime, you deserve aggressive firearm crime defense. Contact Meyer Van Severen, S.C. at (414) 270-0202 for an initial consultation. Phones are answered 24 hours a day, 7 days a week.